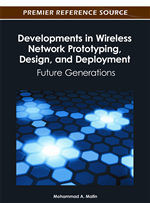 Future Wireless Networks are expected to adopt multi-user multiple input multiple output (MU-MIMO) systems whose performance is maximized by making use of precoding at the transmitter. This chapter describes the recent advances in precoding design for MU-MIMO and introduces a new technique to improve the precoder performance. Without claiming to be comprehensive, the chapter gives deep introduction on basic MIMO techniques covering the basics of single user multiple input multiple output (SU-MIMO) links, its capacity, various transmission strategies, SU-MIMO link precoding, and MIMO receiver structures. After the introduction, MU-MIMO system model is defined and maximum achievable rate regions for both MU-MIMO broadcast and MU-MIMO multiple access channels are explained. It is followed by critical literature review on linear precoding design for MU-MIMO broadcast channel. This paves the way for introducing an improved technique of precoding design that is followed by its performance evaluation. Multiple Input Multiple Output technology has revolutionized the research in wireless systems. Today, the existence and realization of high capacity communication network backbones motivates researchers to investigate the following two directions, namely, development of new applications that utilize this huge capacity of backbone transport networks and on the other hand, development of reliable and spectrally efficient wireless access networks to take advantage of this huge capacity. The need for developing the high capacity wireless access network to support the emerging high data rate applications requires one to overcome the three fundamental limitations intertwined with each other, namely, bandwidth, power and system complexity. The goal to overcome all these challenges has ignited up a lot of research in the wireless communication that includes, among others, use of multiple antennas, cooperative networking, cross layer design, cognitive radio techniques and advanced relaying. Since the pioneering work in the multiple input multiple output (MIMO) that showed large room of improvement in the spectral efficiency and bandwidth utilization, MIMO and MU-MIMO have become one of the most attractive and rich area of investigation and a lot of research results and novel systems design proposals have since been reported. These extremely novel results and features of MIMO systems have stirred up a lot of technical proposals to integrate MIMO into current and future wireless communication standards. The international telecommunication union (ITU) defines the general requirement of what is called ITU-R/IMT-advanced air interface for 4G systems, as well as for the next-generation wireless network to be flexible and able to fill up the rate gap between broadband transport network and the wireless access networks. Currently MIMO techniques have been proposed to be incorporated into many wireless communication standards such as IEEE 802.11n (XIAO, 2005) wireless LAN, IEEE 802.16e Mobile WiMAX and the next generation candidate mobile standards IEEE802.16m (WIMAX profile 2.0) and 3GPP E-UTRA-LTE Advanced (LTE-A)(Release 10) (Etemad, 2008; Li et al., 2010; Parikh & Basu, 2011). IEEE 802.11n wireless LAN standard incorporate MIMO-OFDM nice Features to enhance data rate. The first draft IEEE802.11n devices are capable of achieving throughput up to 300Mbps utilizing two spatial streams in 40MHz channel at 5GHz band. The MIMO techniques so adapted include both open loops spatial diversity (utilizing the STBC and cyclic shift diversity) and spatial multiplexing techniques which do not require any kind of channel state information (CSI) at the transmitter. In the IEEE 802.11n second draft maximum of four spatial multiplexing streams are specified. Thus, a maximum throughput of 600Mbps can be achieved by using four spatial streams in a 40MHz channel bandwidth. IEEE 802.16e is the first wireless wide area network standard that support both closed loop and open loop MIMO transmission. In closed loop MIMO where full or partial CSI is available at the transmitter through the feedback channel, the standard supports precoding for both spatial multiplexing and spatial diversity with space time coding. In open loop mode of transmission the standard supports up to four streams spatial multiplexing and spatial diversity based on Alamouti STBC technique. With the goal of backward compatibility, the techniques adopted or under development in IEEE 802.16m and the 3GPP/LTE – advanced include a wide range of spatial multiplexing with flexible assumptions on MIMO receiver complexity. Furthermore, both standards adopting MU-MIMO mode of operations under different CSI degree precision, code book and zero-forcing precoding method are just an example of two precoding candidate methods to be applied in the two wireless standards.